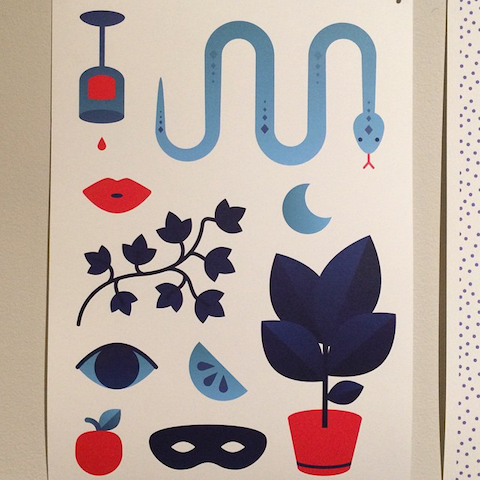 I’ve introduced you to the best new graphic artists as showcased by Pick Me Up Selects, now here’s my pick of the rest of the show, where collectives and print studios have the chance to show their wares. I don’t know if it was a conscious decision to focus on a fresh selection of talent this year, but it was great to discover new graphic art from collectives as far flung as Australia. 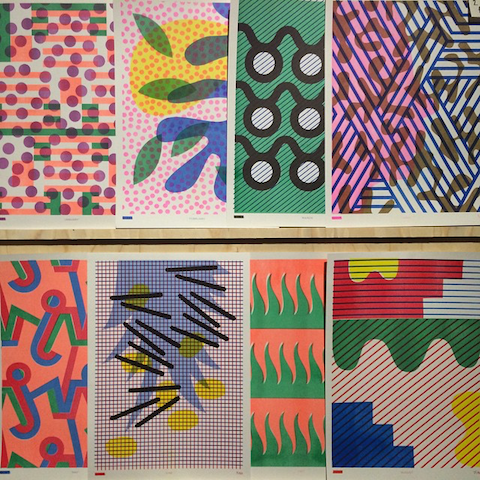 These beautiful abstract 80s influenced risograph prints are by Gabriella Marcella for the Glasgow based Risotto Studio. In this super inspiring interview jewellery designer Clara Francis talks about her career, motherhood and plans for the future. With loads of wonderful photos and illustrations too. Belle Sauvage returned to the catwalk with a collection titled Paris Cats After Midnight, showing on Saturday 15th February 2014. Ong-Oaj Pairam showed for the first time at London Fashion Week, with Fashion Scout on Tuesday 17th September. As the new crop of creative design graduates gear up for their shows I take a look back at some of the best from Camberwell visual arts degree in 2012. Plus a round up of what the best are doing now. PPQ delivered a thrilling neon display of tailored coats and party frocks on the catwalk at the BFC Courtyard Showspace on Friday 15th February 2013. Sabina Bryntesson showcased an astonishing collection at Freemasons' Hall on Tuesday 18th September 2012. The Tata Naka sisters showcased their new collection in the Portico Rooms of Somerset House on Tuesday 18th September. I've had Pati Yang's impossibly catchy tune Wires and Sparks going round and round in my head, so I decided to find out more about this talented Polish musician. And what a story she has to tell. 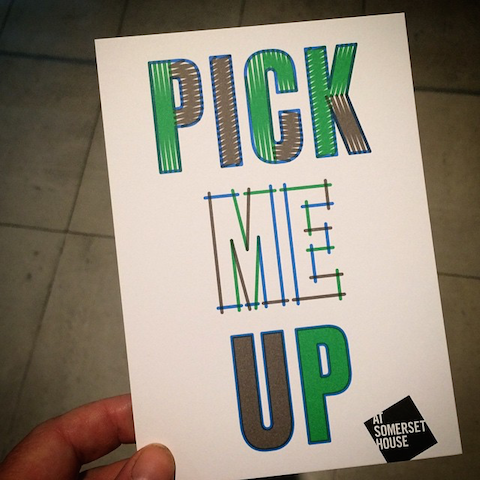 We caught up with Fashion Illustration legend Jason Brooks at this year's Pick Me Up at Somerset House. As well as being utterly delightful he had some great words of advice for all those aspiring fashion illustrators out there. A fab video to accompany the new tune from Helsinki's newest synth electronica wonders, Matti and Tapio. Directed by Sing J. Lee. A round up of photos taken during late October 2011 at Fashion Week Poland. Street Style and front row style, all in one! Monika Ptaszek presented Ptaszek for Men on the main catwalk on Saturday 29th October 2011. It was a brilliant collection that mashed up a host of influences in thoroughly Polish style. 80s tastic in an exotic island themed collection from Karolina Gerlich, showing on Thursday 27th October 2011. Lovely stuff. After two wonderful singles Nicola Roberts does not disappoint with her debut solo album Cinderella's Eyes. It's bravely personal and brilliantly individual. Last week I was invited to Venice courtesy of Swatch. It was a chance to visit the Venice Biennale for the first time and find out more about Swatch's most recent collaboration with French artist Jean-Michel Othoniel. All of this in spectacular style! Israeli born designer Inbar Spector showed an imaginative collection that was inspired by a huge fire that raged through most of her home town. Shown on Tuesday 20th September 2011 at Fashion Scout, with singer Gabby Young in attendance. Illustration with an 80s flavour from Brighton illustration graduates Pat Bradbury, James Hines, Dan Woodger, Grace Coombes and Joseph Prince.